If you follow me on Instagram then it comes to no surprise I am typically somewhere other than the city in which I live. I get a lot of questions about how to stay healthy on the road and I will be honest, this comes with time, practice, and preparation. With this said though – it can be done! 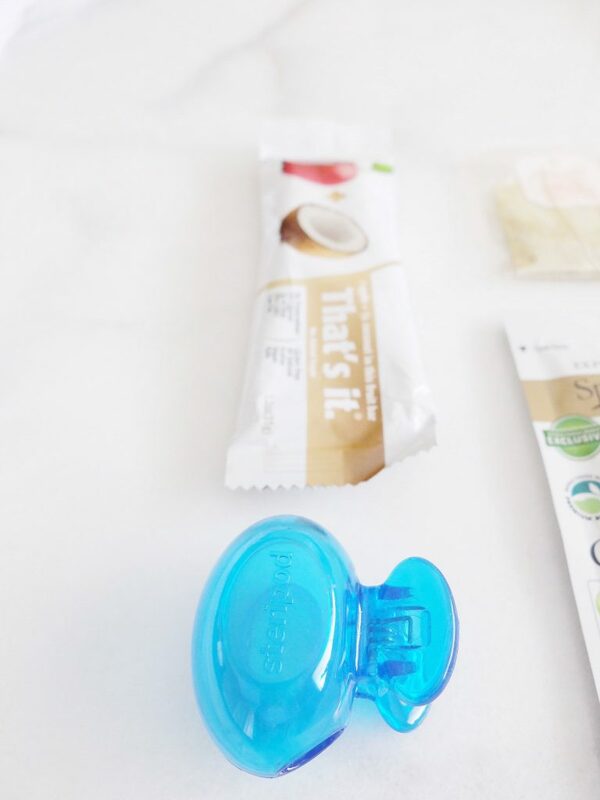 4 things which help me stay healthy on the road are snacks, herbal tea, coconut oil, and my Steripod toothbrush cover. 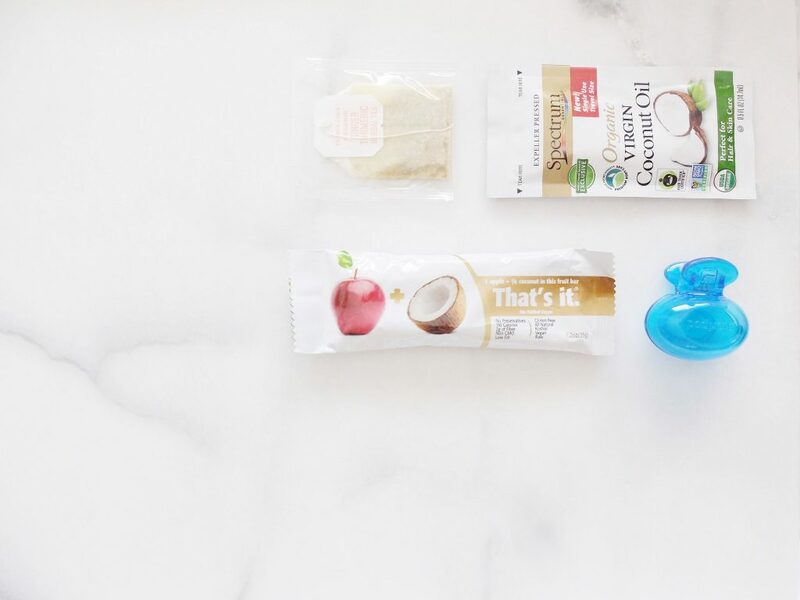 Snacks are 100% key if you want to eat clean on the road. Unfortunately most places to stop when you want a snack most – the airport, the middle of no where, on airplanes, trains, etc. – do not have many healthy options. In my lifetime I have found the time of day I am most likely to throw my healthy day of eating off the tracks is when I reach for an afternoon snack. If my snack is unhealthy, well there goes dinner and you bet I will head to the pantry for a 10PM snack as well. I keep That’s it bars on hand at all time, everywhere I go. They are 100% natural with no added sugar or artificial ingredients, only fruit. I eat fresh fruit when possible but these are great “emergency” snacks. I keep herbal tea on hand because it makes me feel better when I do not feel too hot. Travel makes you tired, exposes you to a lot of germs and new allergens, and can throw your body through the ringer. Right now I am hooked on Trader Joe’s teas, I know TJ’s is not everywhere in the US at this time, I also like this rishi tea as well. Of course during week and weekend trips I have a toothbrush on me, but I also carry one during a normal day too. It is important to keep your mouth clean and healthy and one of the ways I do so is by using Steripods. Steripods are easy to clip onto your toothbrush to ensure it stays clean where you carry it. 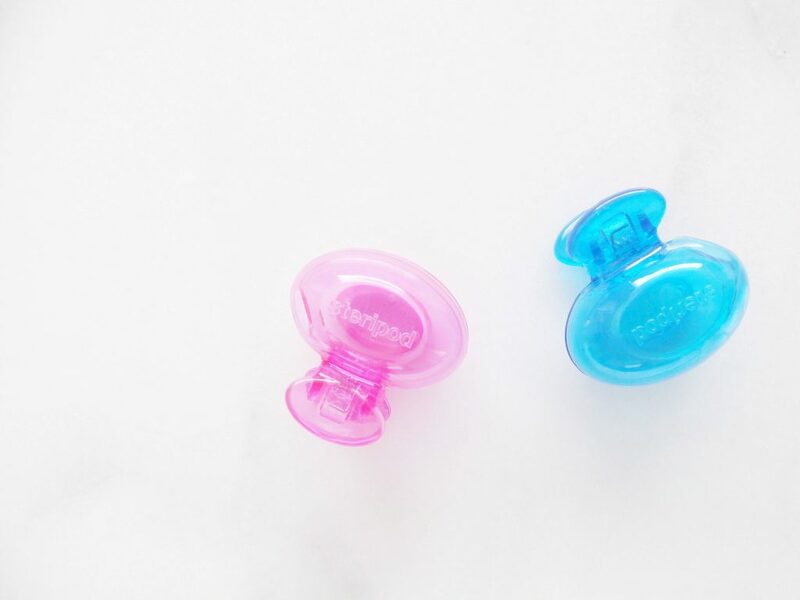 If you throw it in the bottom of your purse (like I do), keep one in your car, or in your toiletry bag, a Steripod cover makes sure nothing touches the bristles of your toothbrush which shouldn’t be. Part of a healthy clean mouth is a clean toothbrush. Steripod is specially designed so air circulates freely, allowing your toothbrush to dry naturally. According to “Dr. Dani” (Danielle Gilbert-Fowler, D.M.D.) 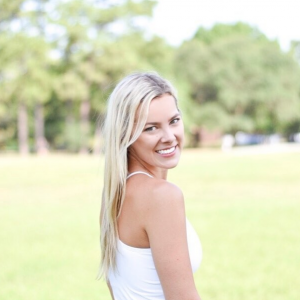 of Palm Tree Pediatric Dentistry: “You wouldn’t clean your body with a dirty washcloth. Why clean your teeth with a dirty toothbrush? It’s important to keep toothbrushes in a clean environment. If you are interested in ordering Steripods, use the code PS7BYCL20K5E to get free shipping on any order of $9.99 or more! 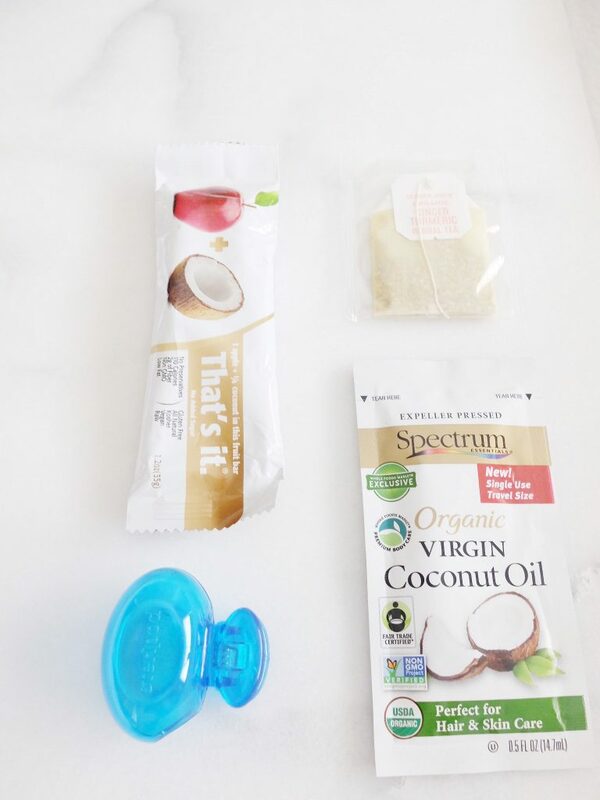 Coconut oil is my go to for everything. I never leave the house without it. I use coconut oil as lotion, mouth rinse, in my coffee, a deep hair conditioner, on my skin if I get a rash/bug bite/sunburn, the stuff goes everywhere with me. 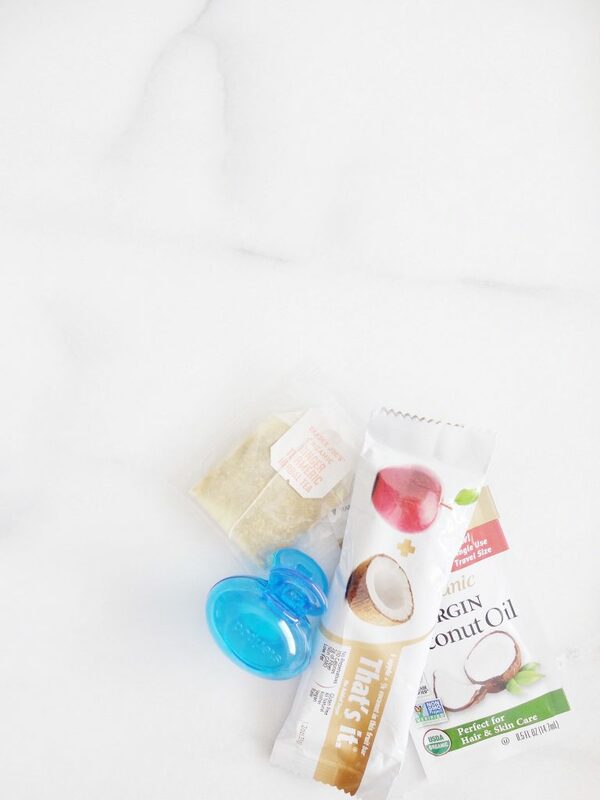 Coconut packets are a lifesaver. How do you stay healthy when traveling? I would love to hear your tips and ideas! This post is sponsored by Steripod + Her Campus Media. All thoughts and opinions are my own. Thank you for supporting the brands which support Curated by Courtney.